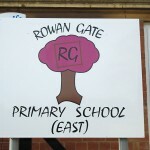 Parents please note that Rowan Gate Primary Schools are closed to pupils next Wednesday 30 and Thursday 01 October for staff to undertake essential training. This has been communicated to parents twice previously and a text reminder will also be sent out. After viewing the school, everyone gathered in the school hall where Reverend Richard Coles performed the opening ceremony. Mrs Clarke (Head Teacher) thanked everyone involved. Light refreshments were provided and enjoyed by all. We hope you have had a pleasant summer break.